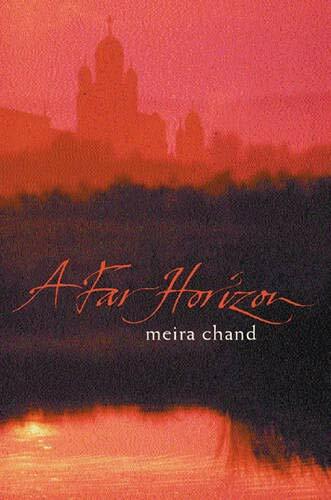 A Far Horizon, by Meira Chand. A Far Horizon, by Meira Chand. Orion (1999), Hardcover, 320 pages. An historical novel set in Calcutta in 1756 about events in the British colony leading up to its conquest and destruction by a native ruler. Meira Chand specializes in accurate and well-researched historical novels. This one about India explores her own roots there. Her parents were European and Indian, and she lived in India and wrote there for years. In A Far Horizon, she explores relationships between the British and those they sought to colonize. She re-imagines how and why Calcutta was taken in the 1750s and that many English and Indians killed. The story was originally told with many exaggerations by the City Magistrate John Howell who survived the attack. His version of what happened in the “Black Hole of Calcutta” inspired much hatred of Indians by the British. While not excusing Indian cruelty, Chand offers a different narrative. The actions and reactions of the British leaders are the focus of much of this book. As the story opens, representatives of the East Indian Company govern the colony at Calcutta with Indian rulers in control nearby. The city itself is divided into White Town and Black Town. The British City Magistrate and his rival, the Governor, each try, through treachery and illicit means, to control the chain of succession after the death of the native ruler. When they fail, the new ruler gathers a large army to attack them. As the army approaches Calcutta, the British arrogantly assume themselves beyond harm when in fact they are terribly vulnerable. When the attack comes, chaos and humiliation of the British ensue, all described in detail by Chand. Out of his own anger and humiliation, the City Magistrate writes his own account, as account that has been challenged not only by Chand but by scholars. Along the political and military narrative, Chand tells the stories of those related to them; mostly the stories of women. Sati is a young woman of both Indian and European descent. Sometimes she slips into trances where the powerful goddess, Druga, possesses and speaks through her. Because of this, she comes to be revered as God Woman by neighbors who revere her. Just as she had been born where two lines met in the ocean, so, where two seam of two cultures joined, there must be a crack. Thin as a hair, denying her real wholeness. Yet it was through this crack, absent in those who grew all of a piece, that Druga squeezed. The girl has been cared for her grandmother, but her mother has recently married a Frenchman. A struggle over her custody, and her inheritance, involves the British leaders of the colony. In addition, we follow the governor’s wife, an English woman unhappily confined in the Governor’s mansion. As the attack on Calcutta nears, the Indians living in Black Town desert the city. Chand is at her best describing the confusion of the British, unable to cook, to build fires, or care for themselves when their servants are no longer there to provide for them. They complain angrily. They have made us as vulnerable as newborns. . . .They nourish us and cleanse us. They keep us afloat in this horrid land whether they know it or not. Those left in the city all suffer when it is taken. In the chaos, the governor’s wife and Sati both create new beginnings for themselves. I learned a great deal from this book about Indian history and the Hindu religion. I gained a new appreciation for Hinduism including Druga, the all-powerful goddess, and her manifestation as the destructive Kali. The governor’s wife, who was British but raised on an plantation in India, was also drawn to the goddess. The Goddess went by many names, each like a facet of a diamond, revealing her conflicting sides. Here as Kali the Goddess manifested a darker part of herself. Chant is an excellent writer, able to richly describe the setting and the characters of eighteenth century Calcutta. While I enjoyed this book, I remained somewhat distant from its characters, however. In part this was a result of Chand’s focus on the men who governed the colony. I found her vindication of the Indians very reasonable, but I would have liked a bit less of the violence and tragedy of the conquest and more about the women whom she introduces. None the less, I am glad I read the book and encourage others to read it also. Especially those interested in India and in the sordid story of colonization. I especially recommend it to readers who like historical fiction that is primarily about politics and war. ← Mona Lisa, by Dianne Hales.